SIMM Spielwaren I Zu unseren hochwertigen LENA® Fahrzeugen! Because play fun and safety apply. Always! German quality standards in Czech production – we want to set standards in the manufacture of high-quality plastic products. Our LENA® toys have been known for years for robustness, quality and fun. Particularly our well thought-out and versatile plastic vehicles bring out the main points – indoors and outdoors. Lifting, loading, extinguishing, digging – the field of activities of our all-rounders knows no limits. In addition to this, many more play possibilities are given through clever levering, tipping or loading functions, excavator arms and practical handles or even rotating driver’s cabs. The functional variety and numerous play themes of our colourful LENA® vehicle series are simply great fun – no matter whether indoors in the child’s room or outside in the sandpit. Make our sturdy construction vehicles your child’s faithful companions! Our premise? Safety for your child. For this reason our vehicles not only look good but they are also safe. Their sophisticated construction ensures stability and durability. Here we exclusively use high-quality plastic. We manufacture in our own production plant in the Czech Republic – in a modern and sustainable way. Things can be rough on construction sites – we know that. For this reason our vehicles are mounted on galvanized steel axles and in this way can brave all adversity. Firm grip and support are thus guaranteed. Quality even in the detail is what we care about. LENA® vehicles – that’s why! Firm support means safety. As we care about your child’s safety at all times, we have given our LENA® vehicles 6mm thick galvanized steel axles. 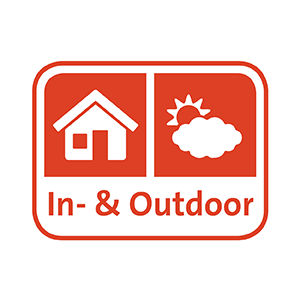 The difference between indoors and outdoors has no significance for us. The design of our vehicles easily copes with all outside uses – our quality plastic makes LENA® vehicles indestructible companions. We regularly test the quality of our endearing toy vehicles – internally and externally. 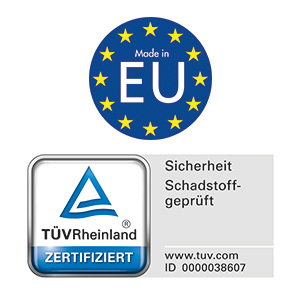 The Rhineland TÜV, as one of the most important independent authorities in general, regularly tests our product range. Since 2018 our quality management is ISO 9001:2015 certified. Great when a product can do so much at once. Our digger can thus not only dig, but also pivot. Its shovel with two practical handles is also very easy to operate. Several functions in one vehicle – that is LENA®! All LENA® vehicles at a glance! Are you a specialist dealer? Our sales team will be happy to help you!